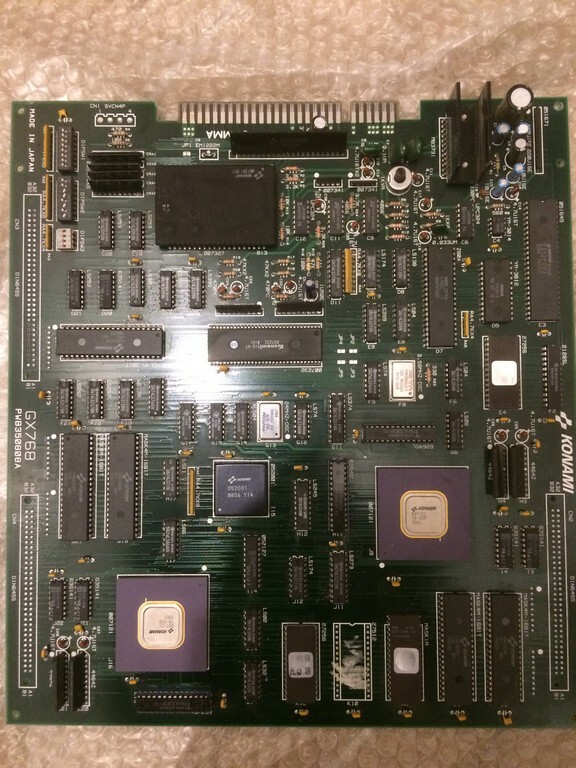 Board was the typical Konami pcb manufactured in Italy ( I believe Electronic Devices had a deal with them to import the pcbs and populate certain chips in Italy). Back to this board, it booted and the graphic was OK but there was a continuous metallic sound all the time. Ruled out DAC and OP AMPS because usually when these fails, you have at least either FM or samples working, I started to probe the sound circuit logic following the schematics. Signal IORQ didn’t go low, thus making the INT signal from the 74LS74 always LOW. I proceeded to desolder the Z80 and tested it on another game with a socketed CPU and it confirmed to be bad. 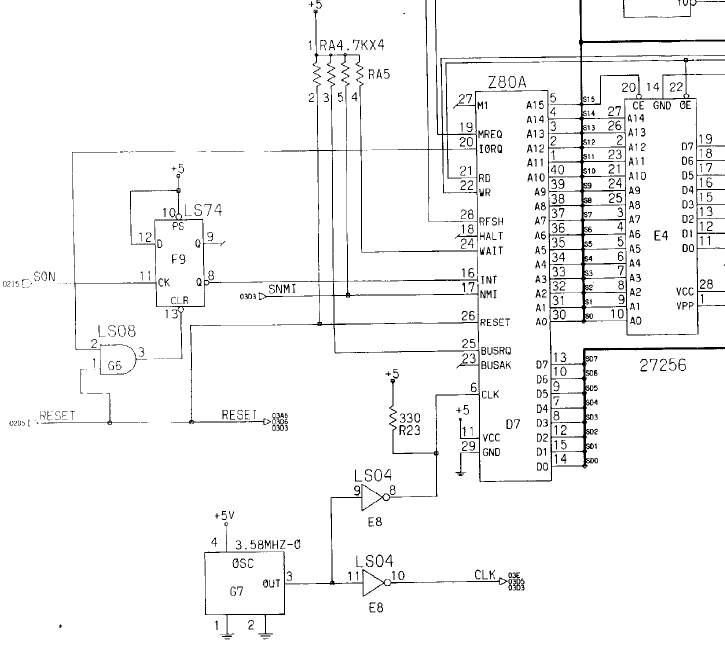 While soldering the same Z80 by NEC used on proper Konami assembled boards, I also changed the sound potentiometer with an original Konami taken from another scrap game. Game was fixed without any other issues.